Reminding residents to register to vote is a courtesy. Residents can’t vote in the city election or run for city council unless they’re registered to vote in the city. City Hall, Council Chambers, 120 Freeman Drive, Thorne Bay, AK 99919 – 8:00 a.m. to 8:00 p.m. Thank you for your interest in joining our Election Team, as an Election worker for Thorne Bay. Becoming an Election Worker is a very important decision and requires making a serious commitment to the Team. Election Workers are paid for the hours they work each Election day. 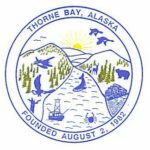 After reading through the above information and feel you can meet the requirements, you may submit the application to the office of the City Clerk at 120 Freeman Drive, Thorne Bay, AK 99919, for processing. The City Council appoints Election Judges at their second meeting in September each year. If you are selected to serve as an Election Worker, you will be notified by the Clerks Office the following day (third Wednesday of September). If you have any questions, please contact Teri Feibel, City Clerk, at (907) 828-3380. The City Council appoints Election Judges at their second meeting in September each year. If you are selected to serve as an Election Worker, you will be notified by the Clerks Office the following day (third Wednesday of September). If you have any questions, please contact the Teri Feibel, City Clerk, at (907) 828-3380. If you are interested in running for office, file your declaration of candidacy with the City Clerk… 1st day to file is August 13th. August 31st is the last day to file your declaration of candidacy. Declarations will not be accepted after 4pm on August 31, 2019. A person who seeks to vote by absentee ballot may file either in person or by mailing his written application to the city clerk. Applications by mail or in person are accepted not earlier than 30 days, and not later than the day before the regular election. September 1st falls on a Sunday, therefore Absentee Voting will begin on MONDAY Septeber 2nd. This is the last day to request an application for By-Mai Ballot. Last day to vote Absentee in Person. Absentee Voting will end at 4:00 p.m. on September 30th. The Municipal Election will begin on October 1, 2019. Polling Location is City Hall Council Chabers, 120 Freeman Drive. The polls open at 8am and close at 8pm. What is an Initiative and Referendum? An initiative is an ordinance or resolution that is proposed by citizens and voted on by municipal residents. A referendum is a repeal by the voters of an ordinance or resolution that was adopted by the governing body. The term referendum can also be used to describe the process where the council seeks the voters’ opinion on a question. 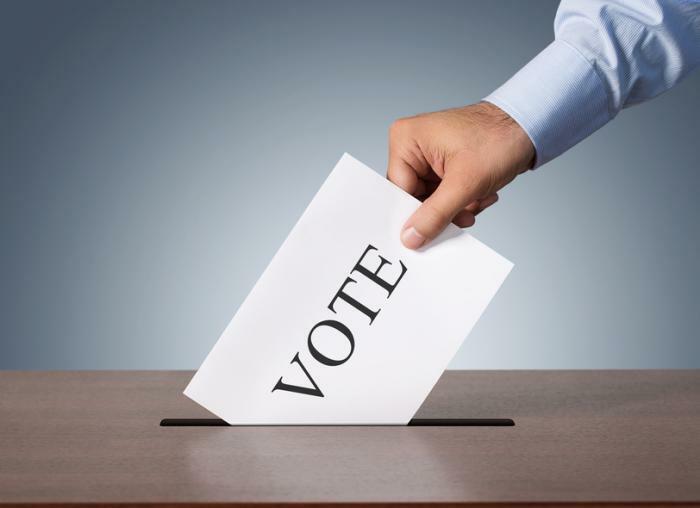 The initiative and referendum process is a powerful tool available to municipal residents to guarantee that they have a voice in local governance by giving them a procedure to create or repeal local laws. This procedure ensures that a majority of the voters agree with the initiative or referendum by mandating an election as the final step. The results of the election are binding on the governing body for two years.